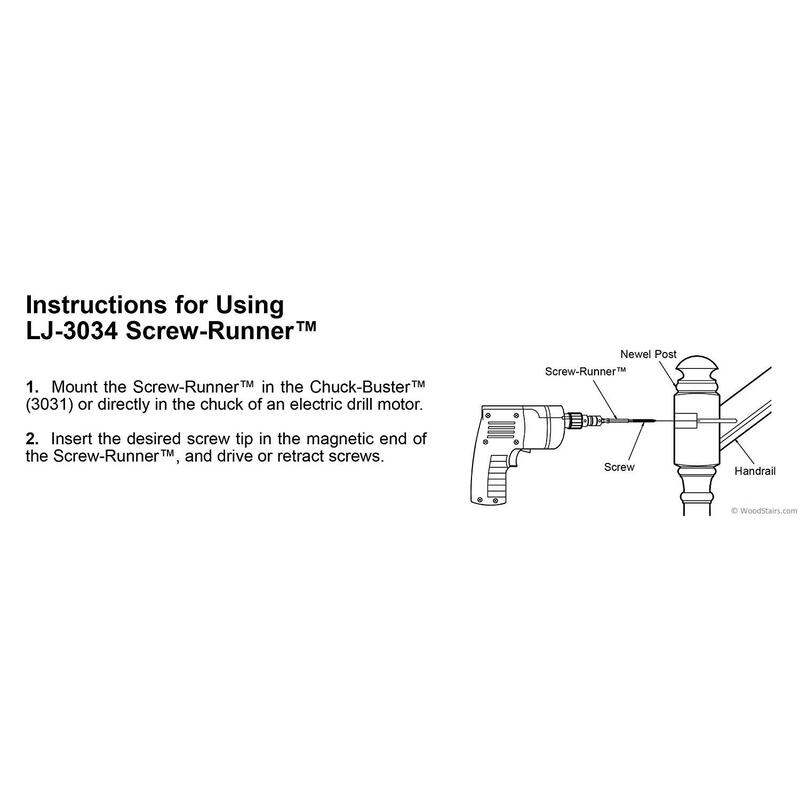 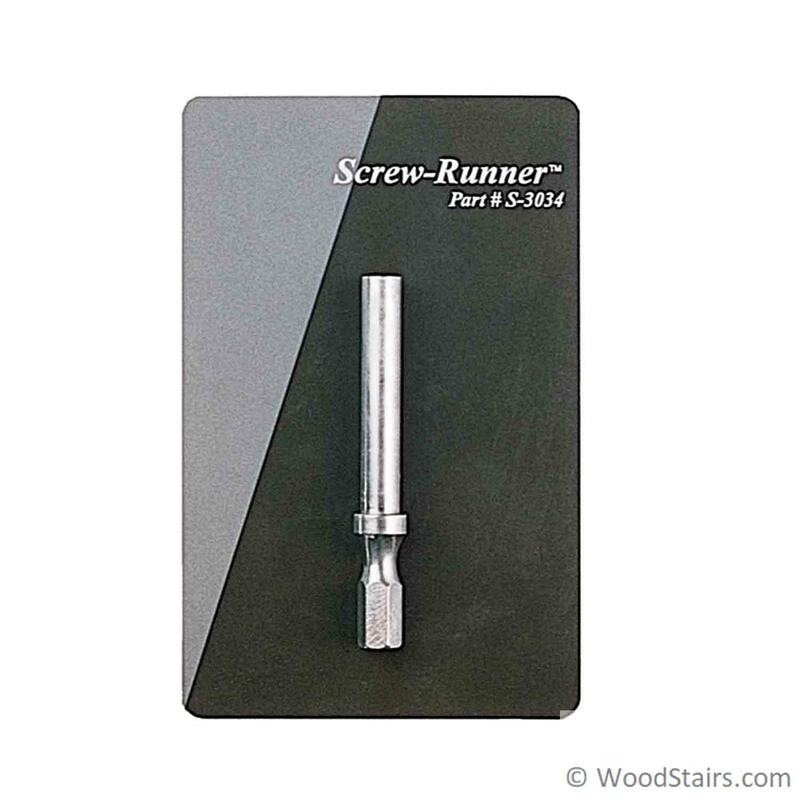 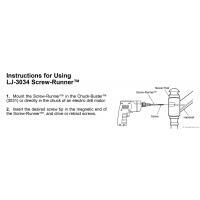 LJ-3034 – Screw-Runner. 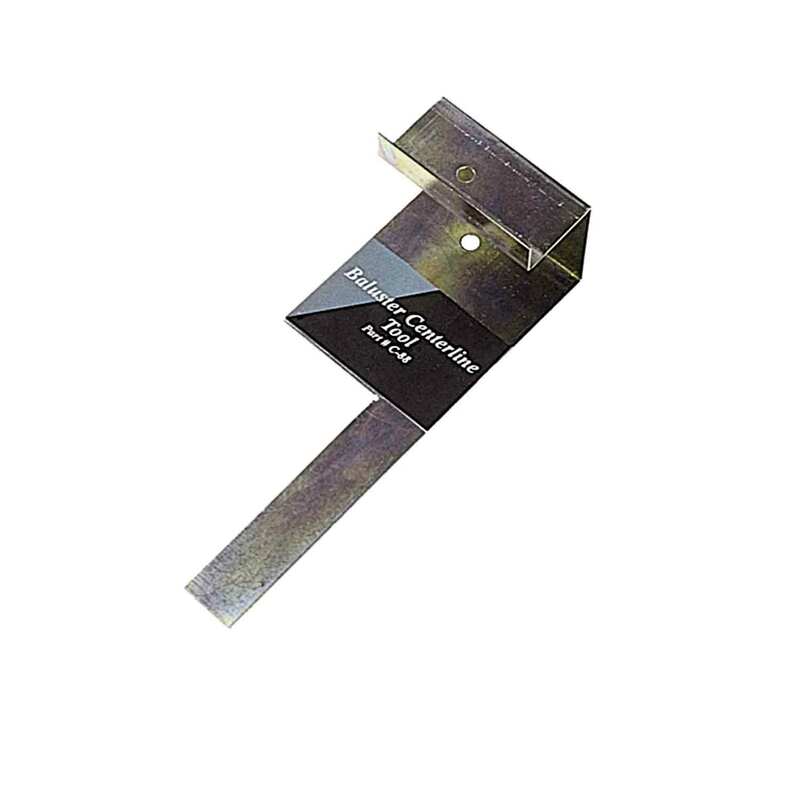 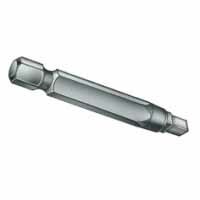 This 4″ drill extension has a magnetic end which fits ¼” hex screw tips. 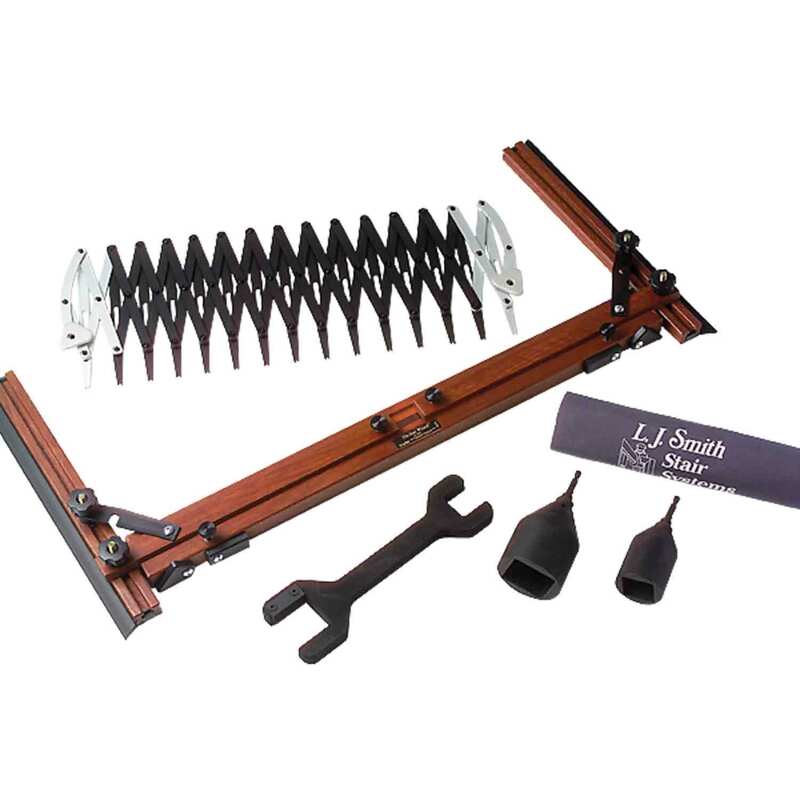 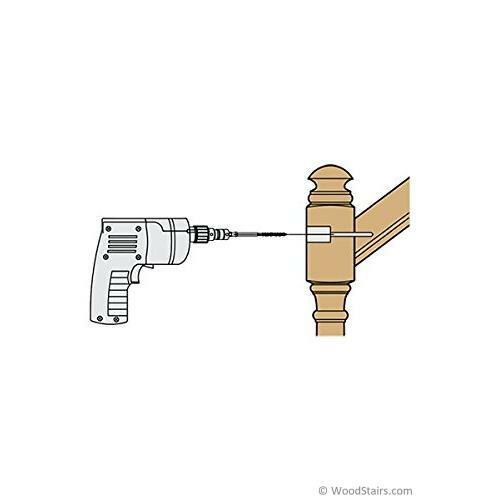 This tool provides ease in driving wood screws into newel posts.